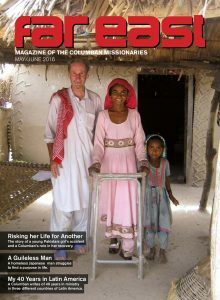 The well known mission magazine of the Columbans in Ireland and Britain has appointed its first lay editor who is also the magazine’s first female editor. 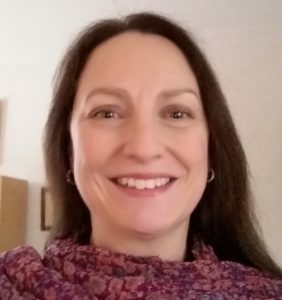 Journalist Sarah Mac Donald, a specialist in religious affairs, takes over from Fr Cyril Lovett SSC, who has edited the magazine from 2003 to 2016. The Far East, which was founded in 1918, has been in continuous publication for almost one hundred years. Currently it has a circulation of 75,000 copies per issue across Ireland and Britain. It is published seven times a year. The Society of St Columban known originally as the Maynooth Mission to China, was founded by Fr Edward Galvin and Fr John Blowick. Sarah Mac Donald has worked as news editor for www.catholicireland.net for three years. She also writes for the international Catholic weekly, The Tablet, as well as the Washington-based CNS news service, the National Catholic Reporter, the Irish Independent, and the Catholic Times. A former journalist with RTE Online, she has an MA in International Relations (DCU) and an MA in Etruscan Archaeology (UCD). She has researched and produced a number of radio documentaries for RTE including ‘The All Ireland Behind Barbed Wire’ which was broadcast in March 2016. Fr Cyril Lovett specialised in Human Geography at Oxford University before he was sent on mission to the Philippines in 1967. He served for 10 years in places such as Marawi City, the Muslim capital, in Mindanao the large island in the south. After six years as coordinator of formation, he was assigned to the slums of Salvador, Bahia, in north-east Brazil from 1985 to 1999. He also spent time as a member of the formation staff at the Society’s International Theologate in Chicago, before replacing Fr Alo Connaughton as Editor of the Far East in 2003. Sarah Mac Donald said she hoped she would be able to develop the Far East’s presence online and across social media with a view to engaging a younger readership. The Society of St Columban was formally launched in 1918 as a missionary society of secular priests. The first Columbans went to China in 1920, to meet the challenges of its language and culture in preaching the Good News, and to share the suffering of its poor. Before long it became evident that in order to minister to families in China, women were needed. Fr John Blowick along with Lady Frances Moloney, a young widow, founded the Missionary Sisters of St Columban in 1924. The Far East serves all Columban missionaries, priests, Sisters and lay missionaries. The newly formed Society and Congregation took as their patron and model the 6th century Irish missionary to Europe, St Columban, and from that point on began to be known as Columban missionaries. There are presently over 400 Columban missionaries committed to evangelisation, justice and peace, interfaith dialogue, care for the earth in Ireland, Britain, the Fiji Islands, Taiwan, Japan, Philippines, Korea, China, Burma, Pakistan, Chile, Peru, Australia, New Zealand and the US.